In the latest international PISA tests, some 500,000 students applied their skills to common tests in order to track their relative academic abilities. Asian countries have topped scorers in maths and science and, in 2015, Singapore became the first nation to top in all three subjects. The three nations that have fallen furthest since Pisa began are all Anglo-Saxon: in order, Britain, Australia and New Zealand. The almost identical tracks of Australia and NZ suggest that there may be common factors driving them both down.The biggest gains, among those who have been in Pisa since it started, have all been in Europe: Luxembourg, Portugal, Poland and Germany. 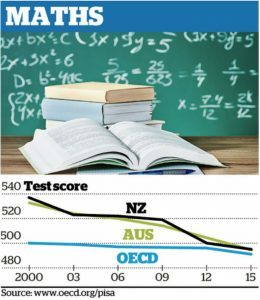 Concerns about the dumbing down of education in places like Australia and New Zealand have recently hit the headlines – as in this article. Some have suggested that the reason for lowered performance from New Zealand is the result of classes being streamed, as in this link. However, some of New Zealand’s most successful academic schools have rigid streaming, so this may not be a major factor? 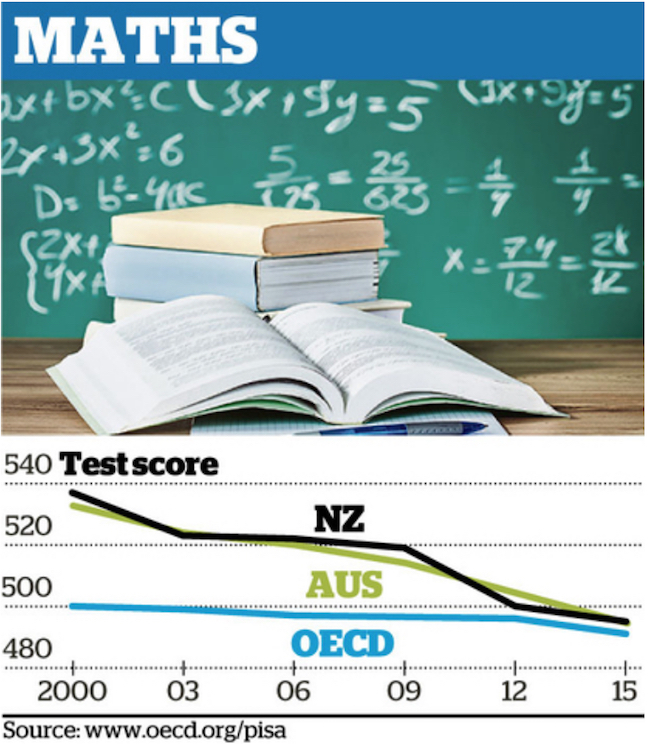 Read more on the PISA results here.